1774-1865. He was born on 23 April 1774, the fifth son of the Reverend George Austen, rector of Deane and later of Steventon, Hampshire, and of his wife, Cassandra Leigh. He was the brother of the novelist Jane Austen and Rear-Admiral Charles John Austen. Admiral Sir Thomas Williams was his cousin by marriage, and he was also related to Admiral Lord Gambier by the marriage of his elder brother, James Austen. Austen was initially educated by his father before deciding on a career in the Navy, which at the time was an unprecedented form of employment for his family. After entering the Royal Academy at Portsmouth on 15 April 1786 he went to sea as a volunteer on 23 December 1788 aboard the frigate Perseverance 36, Captain Isaac Smith, departing for India with the Cornwallis Expedition in the following February. On 5 November 1791 he transferred to the Crown 64 and thereafter the frigate Minerva 38, both flying the broad pennant of Commodore Hon. William Cornwallis. On 28 December 1792 he was promoted lieutenant of the brig Dispatch, Commanders John Whitby and Thomas Le Marchant Gosselin, but as she was laid up for five weeks he rejoined the Minerva as a volunteer. Once the Dispatch was returned to the East India Company Austen was left without a ship, and so he left for home in July 1793 aboard another East India Company ship, payment for which he continued to petition the company for many years afterward. He arrived back at Southampton on 13 November. In March 1794 Austen was appointed to the brand new sloop Lark 16, Commander Josias Rowley, this vessel being part of the squadron that on 28 March 1795 collected Princess Caroline from Cuxhaven in order to convey her to England to marry the Prince of Wales. With this vessel he also served in the Downs and North Sea. On 23 May he transferred to the Andromeda 32, Captains Thomas Sotheby and William Taylor, escorting the trade up to the Baltic, and on 13 September he joined the Prince George 90, Captain James Bowen, bearing the flag of Rear-Admiral Hugh Cloberry Christian during the ill-feted expedition to the Leeward Islands which initially set sail on 16 November 1795. Once this vessel had been forced to return to Spithead Austen shifted with Rear-Admiral Christian and Captain Bowen into the Glory 98, but after putting to sea this vessel also failed to make it to the Caribbean and had to return home. After a brief spell from 5 May 1796 serving off Ireland aboard the Shannon 32, Captain Alexander Fraser, Austen went ashore on 26 June. He shortly afterwards joined the Unicorn 32 captained by his cousin by marriage, Thomas Williams, but returned home on the news of his appointment as first lieutenant to the newly built Triton 32, Captain John Gore, on 16 September. Eleven months later, on 5 October 1797, he moved to the Seahorse 38, Captain Edward James Foote, serving in the Mediterranean, and then on 13 February 1798 he joined the London 98, Captain John Child Purvis, serving off Cadiz as her first lieutenant. Having joined the sloop Peterel 16 at Gibraltar on 27 December 1798 Austen was promoted commander on 3 February 1799. He delivered despatches from the Earl of St. Vincent at Gibraltar to Rear-Admiral Lord Nelson at Palermo in May, and proceeding to Malta he was present at the capture of Rear-Admiral Jean Baptiste Perrée’s frigates by the advanced squadron of the Mediterranean fleet on 19 June. He also took part in the hunt for the Brest fleet which was at sea from April to August 1799 and at the end of the year he delivered correspondence to Corfu. 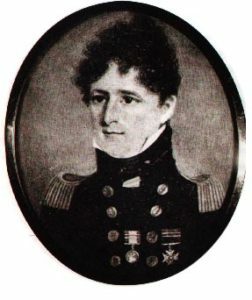 On 20 March 1800, whilst commanding the Peterel, and on the approach of the Mermaid 32, Captain Robert Oliver, Austen captured two coasters with a cargo of wheat in Marseilles Bay. He then drove ashore a 14-gun ship and a six-gun xebec, and despite being fired on from a shore battery he captured the Ligurienne 16 on the following day. The latter was a vessel which was destined for Egyptian service and was capable of being taken to pieces and reassembled, but she was not bought into the British navy. These successes were achieved whilst his first lieutenant and sailing master were absent in prizes, and during these engagements he did not suffer a single casualty. In April 1800 he earned 750 dollars for his part in the capture of a fishing vessel carrying enemy officers and laden with 9,000 dollars worth of specie. He thereafter served at the blockade of Genoa under the orders of Admiral Lord Keith in the following May, and subsequently joined Commodore Sir William Sidney Smith’s squadron off Egypt. On 13 August 1800 Austen earned great acclaim for burning an 80-gun Turkish ship which had gone aground in Aboukir Bay under the French cannon, and which was in the process of being salvaged by three hundred of the enemy. He was also awarded with a sabre and a pelisse from the Turks for this achievement. Having already been posted captain with seniority backdated to 13 May 1800 he left the Peterel in October and returned home to be appointed flag-captain to Vice-Admiral James Gambier aboard the Neptune 98 on 29 August 1801, forming part of the Channel fleet. At the peace the Neptune entered Portsmouth and was paid off on 29 April 1802. During the peace Austen remained ashore on half-pay, and on the resumption of hostilities he was appointed to the Sea-Fencibles, commanding the coast between North Foreland and Sandown near Deal with his headquarters at Ramsgate, but declaring himself somewhat sceptical of the effectiveness of this mode of defence. On 7 May 1804 he became flag captain to Rear-Admiral Thomas Louis aboard the Leopard 50, a vessel he described as ‘extremely crank and incapable in blowing weather’, serving in Admiral Lord Keith’s North Sea fleet, and retaining her as a private ship after Louis had transferred to the Mediterranean. On 26 March 1805, despite his great wish to join a frigate, he replaced John Conn as flag captain to Louis aboard the Canopus 80, taking passage out to the Mediterranean to join her. Although this ship took part in Vice-Admiral Lord Nelson’s chase of the French fleet to the West Indies following its breakout from Toulon on 18 March 1805 she had the misfortune to miss the Battle of Trafalgar on 21 October when Louis’s squadron was detached to Tetuan for supplies. Austen next served as flag-captain to Louis at the Battle of San Domingo on 6 February 1806 where he fought well despite his ship’s venerability and sluggishness, incurring casualties of eight men killed and twenty-two wounded. On 29 April the victorious squadron returned to Portsmouth and all the captains were awarded a gold medal. Austen left the Canopus on 22 June 1806, having been unable to join the Acasta 40 because of the chase of the French to San Domingo, to which frigate he had been appointed the previous November on a previous recommendation from Nelson to the first lord of the Admiralty. Being without a ship Austen took lodgings in Southampton, being joined in the autumn by his mother and sisters. On 23 March 1807 he was appointed to the thirty-six year-old St Albans 64, joining her at Sheerness and going out to the Cape with the trade before returning home on the following New Year’s Day. In February 1808 she sailed for St. Helena to pick up a convoy, Austen being well paid by the merchants for his protection of their ships. After arriving home the St. Albans next went out to Portugal, but on 2 September 1808 returned to British waters for six months, with Austen making his home at Yarmouth. By the following January he was at Spithead, from where he took the St. Albans out to superintend the disembarkation of those elements of the British army which had been defeated at the Battle of Corunna in 1809, prior to transporting the troops back to Portsmouth. In September 1809 the St. Albans arrived at Canton after a five-month voyage, and whilst on the other side of the world Austen negotiated the settlement of a long-standing dispute with the Chinese, for which service he would later be thanked by the Admiralty. Having delayed his departure without notifying the commander-in-chief in the East Indies, Rear-Admiral William O’Brien Drury, as to the reasons why, he left Chinese waters on 2 March 1810. Arriving home in July, he had to haggle with the East India Company over the amount to be paid to him for conveying their treasure, and the parties eventually settled on a ‘gift’ of 1,000 guineas. The next five months were spent with his wife ashore prior to Austen joining the splendid new Caledonia 120 at Spithead on 19 December 1810, in which he spent several months as flag captain to Admiral Lord Gambier off France before she transferred to the Mediterranean in the spring of 1811 to become the flagship of Vice-Admiral Sir Edward Pellew. From 9 July 1811 Austen commanded the veteran Elephant 74 in the North Sea, off the Western Islands, and in the Baltic, but engaging in little more than convoy duty whilst having to cope with a crew which was inclined towards ill-discipline. In the autumn of 1812 he found his ship despatched from blockade duty off the Schelde to cruise against American privateers off the Azores, and in doing so he captured the privateer Sword Fish 12 on 28 December after an eleven-hour pursuit over one hundred miles. He eventually paid the Elephant off at Spithead on 7 May 1814. On 4 June 1815 Austen was nominated a C.B, and despite initially requesting employment he retired to Chawton House, the property of his elder brother Edward. He held the honorary title of a colonel of marines from 1825-30, became a rear-admiral on 22 July 1830, was created a K.C.B. on 28 February 1837, and was advanced to vice-admiral on 28 June 1838. From 27 December 1844 until 12 January 1848 he was the commander-in-chief in the Americas and West Indies, residing ashore at Bermuda or Halifax, with his flag flying aboard the Vindictive 74, Captain Michael Seymour. During this posting he was supported not only by his two youngest unmarried daughters, but also by one of his sons who served as his flag lieutenant, and by his youngest son who was his chaplain. Austen was promoted to the rank of admiral on 1 August 1848 and was offered the post of port admiral at Portsmouth at the commencement of the Crimean War in 1854 with his flag aboard the Victory 100, although he turned the offer down as he considered himself too old. He was awarded a G.C.B in May 1860 and from 27 April 1863 until his death at his residence, Portsdown Lodge, near Portsmouth, on 10 August 1865 he was the admiral of the fleet. He was buried near the graves of both his wives at Wymering Church following a modest funeral. Austen became engaged to Mary Gibson of Ramsgate, Isle of Thanet, at Covent Garden in February 1804, and they married on 24 July 1806 before honeymooning at Godmersham. His wife died on 23 July 1823 in giving birth to his eleventh child at their Gosport lodgings, with the infant dying months later. Three of five daughters and five of six sons survived, the eldest of whom, Francis William Austen, born in 1809, and the fourth son, Herbert Grey Austen, born in 1815, entered the navy, the former reaching the rank of commander and the latter the rank of lieutenant. In 1828 Austen married Martha Lloyd, the daughter of the ex-rector of Enbourne in Berkshire, this lady being a close family friend and one whom Jane Austen had considered, some thirty years earlier, as a perfect match for her brother. She died in 1843. During his life Austen lived in various places, including Ramsgate, Yarmouth on the Isle of Wight, Chawton Manor near Alton in Hampshire, Ryde, and from May 1848 at Portsdown Lodge, Portsmouth, a residence he sold to the government whilst continuing to reside as a tenant. Small in stature and quietly spoken with a dry sense of humour, Austen was known as ‘Frank’ to his family, and in his younger days he was known for having a lively disposition, being fearless, fiery and cheeky. In adulthood he was seen as ‘brave, enterprising, and hardy’, and he remained in excellent health until his old age. Austen was ambitious, precise, reserved, self-confident, dutiful, punctilious, conscientious, strict and firm but sensible, considerate and humane as befitted his deep evangelical, religious beliefs. He was indeed known as the ‘kneeling officer’ and one whose commands were known as ‘praying ships’. This did not stop him being admonished in 1813 for the level of punishments he proscribed to what was a most difficult crew, yet clearly he felt the discipline was in line with the preservation of his men’s welfare, for he had earlier been an advocate of improving his men’s diet. Amongst his many practical skills was that of a toy-maker for his children and of conducting experiments, such as the preservation of cheese in hot weather. A loyal supporter and a great beneficiary as a protégé of the equally evangelical Admiral Gambier, he nevertheless thought that officer had been badly advised by his subordinate officers, and in his later years he wrote to Gambier’s chief detractor, Lord Cochrane, to express his support. His father, a doting parent, was loosely acquainted with Warren Hastings who agreed to promote Austen’s early career, as did Gambier, to whom he was distantly related by marriage. He was highly regarded by Nelson, who intended to give him a frigate but died before he could do so. Vice-Admiral Sir Edward Foote was a family friend. In his early years Austen did well in respect of prize money. Wherever he travelled he made notes on the geography, customs, vegetation, commerce and politics of the country, and in his youth he quickly grasped the skill of determining longitude. 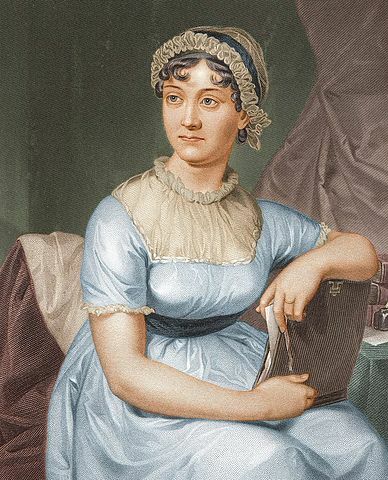 Austen provided advice and criticisms of his sister Jane’s works and was himself possessed of a literary talent. Politically, he was of a Tory persuasion.